Understanding how our Zingtree interactive decision trees work on a fundamental level can help you generate more effective trees to fit your needs. If you’re new to Zingtree, or just have a curious mind, our glossary of basic terms will help you understand how our system works. Zingtree Analytics includes data on your custom decision trees’ outcomes, traffic, location breakdowns and more. You’ll get detailed insights into how your trees are being used to guide product, service and process optimizations. 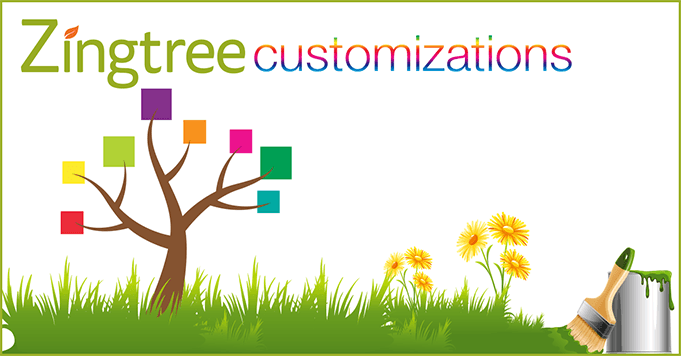 Authors are the individuals that have created a Zingtree decision tree, along with those who have access to view and edit. You can also refer to your Authors as “collaborators.” With various Zingtree plans, you can add anywhere from 1 to 50 different Authors to contribute to and collaborate on your decision trees; ideal for call centers and other companies with large teams. In the digital world, an end-user is simply the person who is using your product and navigating through your decision tree. An end-user session refers to a person outside your company (not an employee or call center agent) interacting with your tree. Zingtree’s pricing for support, troubleshooting, and other external applications works by counting these end-user sessions, meaning that you only get charged when a person clicks a button in your tree. Whether they use one click or 100, the cost remains the same. Zingtree’s Scoring feature allows you to assign a numeric value to each answered question, along with actions based on the running total score. Scoring with an Evaluation tree is ideal for generating interactive online tests, quizzes, assessments, training simulations and more. As the user goes through your decision tree, Zingtree keeps a running total of the score values of all the clicked buttons. When you’re ready to act upon the total score, create a new “Score Branch Node,” where you can specify a range of score values to redirect to specific nodes. Much like in learning your lines for a play, a script is used as a guide for customer service agents to follow along with. Scripts are written in the company’s tone of voice, and adhere’s to its personalized standards, making it easier for agents to portray the correct information and provide help to the customers. 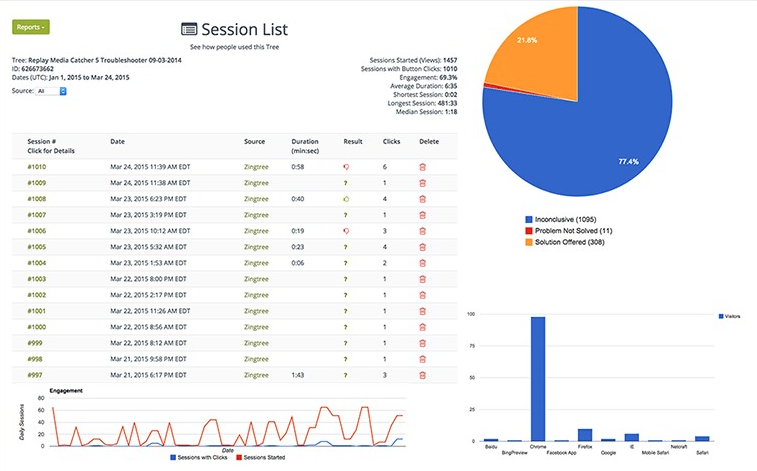 Zingtree offers a powerful call center agent scripting solution that lets you quickly create and deploy custom scripts, and then analyze them per session and view performance summaries. 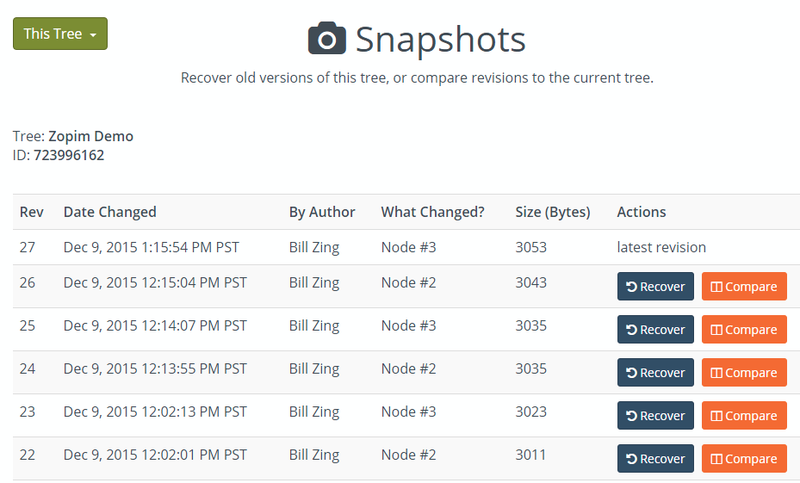 Snapshots are a handy feature within Zingtree that collects and data that has changed from one decision tree version to another. With Snapshots, you can recover old versions of your trees, view your teammates’ edits, and compare revisions to the current tree you’re working on, and more. 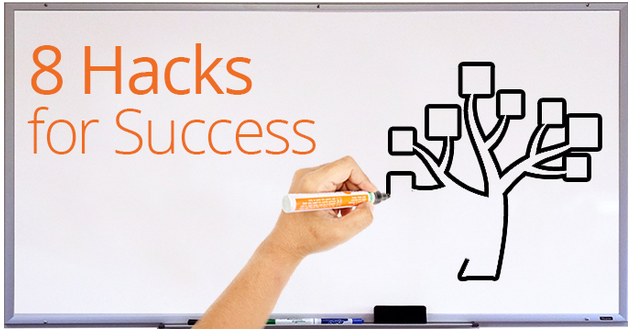 Snapshots are very helpful when creating trees with multiple revisions or working with a team. To find this tool, select More Tools, then Snapshots in your Zingtree account. Tagging lets you add a list of category tags to both nodes and trees, making it easier to organize nodes in large trees, as well as organize large libraries of trees. If you’re working from your nodes and searching for a specific type, you can add one or more tags to each node, then use the Overview to show only those nodes that include a certain tag. You can also add one or more tags to each tree from the My Trees page, allowing you filter your list of trees based upon those tags. Stay tuned for Part 3 of our Zingtree Terminology series coming soon, and check out Part 1 right here. If you have any questions in the meantime, please contact the team!